Pakistan’s drama industry has recently been making eye-opening TV shows. We get to see many societal flaws and are made aware of issues people face in their everyday lives. But then there are light-hearted shows as well, made for the purpose of entertaining the audience. 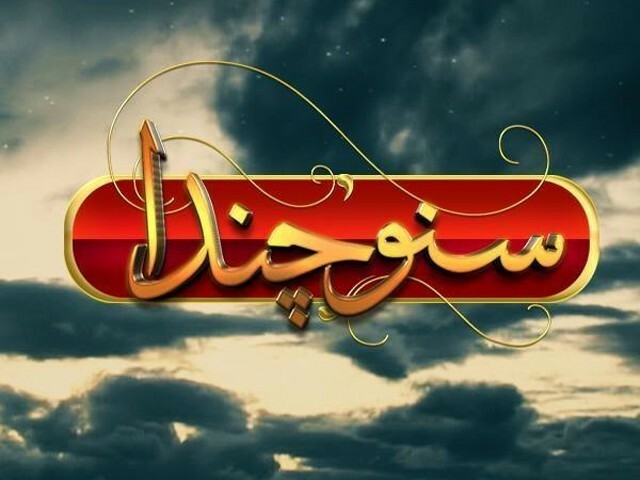 One such show is the recently popular Suno Chanda. 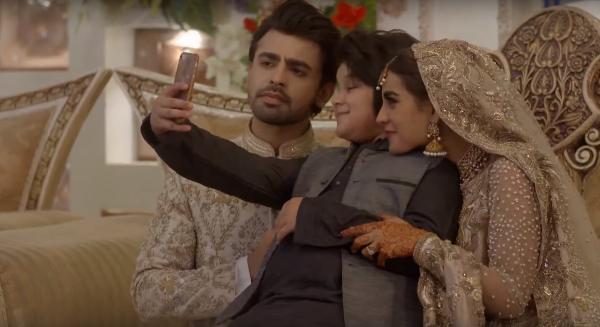 The adorable couple Arsal (Farhan Saeed) and Ajiya (Iqra Aziz) finally tied the knot in the last episode of this Ramazan special series. The story begins with a betrothed couple’s desire to call off their wedding while the whole family is preparing for it. Arsal and Ajiya’s marriage was fixed by their dying grandfather, who made sure they were married during his life. The two characters plan to create disturbances in the household so that eventually their wedding will be cancelled, without any of them ever having to confront their parents. Soon thereafter, they develop feelings for one another and then make counter plans to stay together and mend their family relations. However, I felt disturbed by an important aspect of the storyline that was developed in the first 20 episodes but then completely ignored towards the end. I am talking about Ajiya’s desire to pursue higher studies abroad and establish a career. 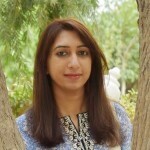 In many of her scenes with her cousin Shehryar (played by Nabeel Zuberi), she openly speaks about her interest in applying for a scholarship to study at the London School of Economics and then work at a multinational organisation. Her plans to move abroad for education are disregarded and dismissed by her grandmother, parents, parents-in-law and future husband as fanciful and crazy. Arsal, on the other hand, complains about not being respected by Ajiya. She often tells him off when he brings his clothes to her for ironing or asks her to make him meals. Her response is usually that her dreams are bigger and more important than just ironing clothes. Although her responses were often loud and rude, the content was also brushed aside as a sign of her immaturity to deal with relationships. As Arsal begins to convince her to give him a chance and not call off the wedding, he pledges to support her dreams. Later, however, as Ajiya begins to realise her love for Arsal, there is not a single scene reflecting her ability to pursue her studies or build a career. She is shown to have accepted Arsal as her husband and given up on her “unrealistic” dreams in exchange for taking on the role of a traditional married woman. In this day and age, it is disappointing to see that pursuing education and marriage are seen as mutually exclusive. Why should she have to choose one or the other? An education or career is not supposed to come at the cost of a loving and successful marriage or vice versa. This is the 21st century; we have women running the country while they are married and while they are pregnant. Why does our society automatically assume that a career-oriented woman will destroy her marriage and family? On their wedding day, when Arsal demands that she address him as ‘aap’ (formal ‘you’ in Urdu), and apologise for her misbehaviour, family members insist that Arsal do the same as well, to which he only hesitatingly agrees. It was a welcome relief to see a Paksitani family asking the male of the family to apologise and be respectful towards his wife, which is something that is not usually encouraged. However, what would have really saved the day is an acceptance of Ajiya’s desire to build a career by the family and her husband as a realistic choice. Arsal’s demands to be treated respectfully are addressed and rightfully so, but there’s no mention of him accepting the desires of his spouse as a sign of his personal growth and maturity. What message is the show sending at the end of the day? Is the woman supposed to compromise every time there is an issue? Ajiya’s dreams took a backseat when it came to her marriage. These are times when we should be encouraging women to stand on their own two feet and build themselves, but we are telling them that when your husband tells you that you cannot study or work further, accept this as your fate and concentrate on your marriage. We are telling those girls with big dreams that after they get married, your husband’s words will mean more than any of your ambitions. We are telling those girls to sacrifice their dreams and goals in order to be a good wife, mother and daughter-in-law. When will we stop expecting our women to forego their future and aims so that the men in their lives can flourish? When will we stop expecting our women to put the men before themselves? When will we accept and implement equal rights? It is extremely important for mainstream television programming like Suno Chanda to convey underlying social messages because they have the largest audience to change minds and hearts through humour, relatable comedy and romance. The sheer popularity of this series was a missed golden opportunity to depict a young couple building their married and professional lives together. If anything, it would have added to the charm of the storyline with a progressive twist and the viewers rooting for a changed Arsal. I hope future television dramas can create stories that are traditionally engaging yet culturally progressive. Why can't we buckle up?